The children have thoroughly enjoyed our adventure this term. It all started of with the children going on a walk through a mysterious forest and finding a huge house, where they met a very colorful Elephant named Elmer. 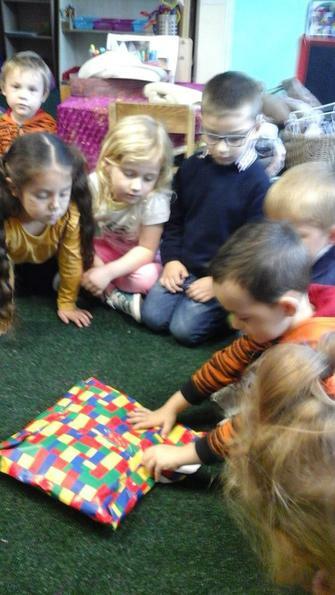 We listened to a conversation Elmer had with his mummy, he told her he was very sad because he only had 5 weeks till his 5th birthday party and he had made no friends yet. Reception quickly stepped in and told Mumma Elephant they will become Elmer’s friends, so they started to tell Elmer all about themselves so he would be glad to have 21 very caring friends. This included: painting pictures of themselves and their friends and telling Elmer about the different fruits they liked by tasting them. Even after all their hard work, Elmer was still upset as he told them they are humans and very different to him, they also live in the Middleton and not the Enchanted Forest. Therefore the children decided that Elmer needed to go for a long walk through the Enchanted Forest to look for some animals friends. The children helped Mumma Elephant pack a lunch for Elmer, as he may have got hungry along the way. Elmer and the children then set off through the Enchanted Forest to find him some animal friends! After a walk through the trees, listening to the birds and watching the fairies, the children and Elmer heard a weeping noise coming from a waterfall. When they arrived, they found a Hippo named Harry stuck by a rock. 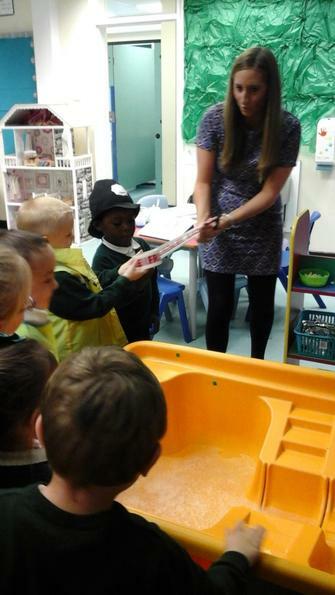 The children pretended to be fireman, policeman, vets and press to help rescue the Hippo. The children also made signs to stop people or any more animals entering the waterfall as the trees were overgrown and it was too dangerous. Harry was so thankful to Elmer for getting the help and they instantly became friends. The following week, Elmer and Harry set of through the Enchanted Forest looking for more friends. 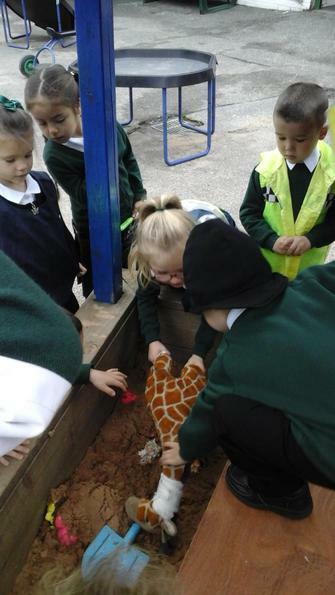 They soon found, Gerry the Giraffe stuck in some sinking sand and straight away with help from the children roleplaying as vets, policemen, firemen and press again, they quickly rescued her. The children really enjoyed pretending to pull her out of the sand and rebuilding the wall! They were also very happy to see Elmer smiling and laughing with his two new friends. 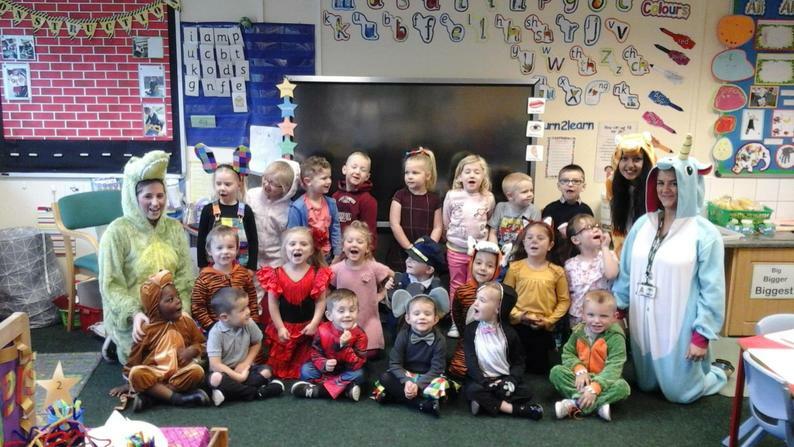 Now Elmer had some friends it was time to organise his birthday so he went to find the Gruffalo (the best party planner in the forest-told by Gerry the Giraffe)! He hunted around the Enchanted Forest (school) and still couldn't find him, so the children helped by making posters and pictures of him, so everybody in the enchanted forest knew what he looked like and could help Elmer find him. Thankfully it wasn’t long till mouse found him while shopping. The Gruffalo quickly went to Elmer’s house and started planning the party. They didn’t have long so really needed the children’s help to get everything ready so Reception K made lists of the things Elmer still needed to do including making lots of decorations and baking food for the party! Elmer’s 5th birthday soon arrived and the children loved coming dressed up to school in their costumes, as animals from the enchanted forest. 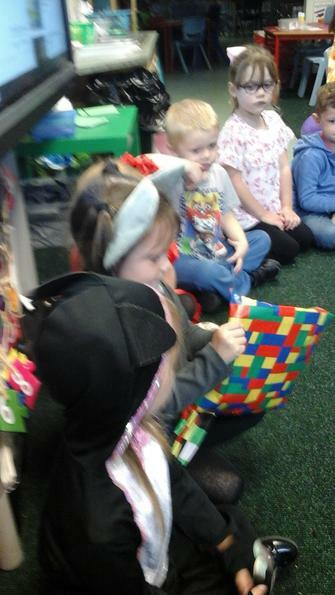 It was a busy day preparing the party and getting all the food ready, but the children loved it and really enjoyed playing pass the parcel with Elmer. Most of all the children loved having their family members and friends come to the party and enjoy all the scrumptious food with them! Mumma Elephant thanked the children the next day for giving Elmer the best 5th birthday party EVER and finding him two very special friends, he was now a very happy, colourful elephant!